Driveway repair undoubtedly doesn’t top anyone’s list of favorite weekend activities, so when Simon Marks of Luton, England, had an accident in his own driveway one Saturday, he groaned at the thought of a ruined weekend. That is, until he inspected the damage. With plans to go out in the afternoon, Simon had simply been reversing his black Vauxhall Zafira out of his front driveway. Unfortunately, when he did so, he felt it lurch forward. At first look, the damage was bad—really bad. Concerned a sinkhole had just opened up underneath his house, Simon took some pictures of the massive crater beneath his car’s tires and sent them to his father, Gerald, who was on his way to help. “I was just terrified the whole house was going to vanish,” he said. The closer Simon looked at the damage, however, the more he came to realize that perhaps this was something more than a sinkhole or a “badly constructed garden.” Carefully, he began removing the cracked slabs of concrete—and was stunned by what he saw. Descending into the darkness of what he’d once thought was going to be a massive thorn in his side—and his wallet!—was an old, rusted ladder. That was when he and his dad decided to start digging. Simon and Gerald didn’t have fancy tools or machines to help the excavate the hole that was, as The Sun later reported, “nearly full to the top with mud.” They simply used shovels and buckets. The pair dug and dug, the pile of excavated mud growing larger by the hour. Strangely, ordinance surveys didn’t shed any light on what might have been hiding beneath Simon’s driveway. According to those reports, there was nothing but empty land before the home was built. The two men descended the ladder, unsure what they would find. Once they reached the bottom of the chamber and established their footing, they turned around—and came face to face with something unusual. There in front of them was a strange doorway. Unsure if it was safe to enter the mysterious corridor, Simon did a little scouting. “I got my selfie stick,” he said, “and put it down the hole where I saw two rooms.” So what were they looking at? During World War II, the Luftwaffe—Germany’s air force—conducted a number of precision bombing raids on the United Kingdom and its allies. The unit infamously bombed Liverpool, Birmingham, and parts of London not far from Simon’s home. The looming threat of a bomb dropping at any moment pushed authorities and private citizens alike to construct bomb shelters. 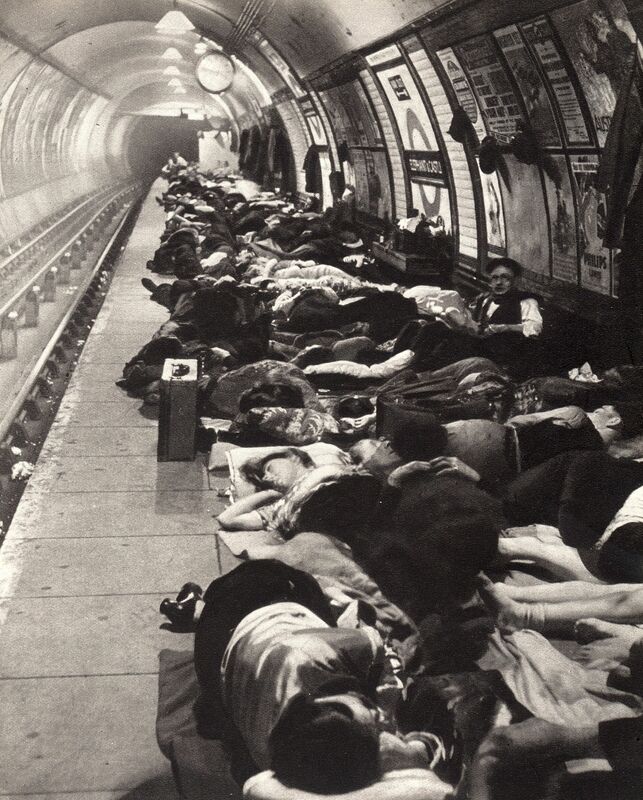 At first, tube stations, basements, and cellars served as protection; in the 1940s, communal shelters were built. When there was an impending threat of an incoming bomb, authorities activated air raid sirens, which prompted people to head to the cover of one of these shelters. Many of them were reinforced with brick—just like the one in Simon’s driveway. In Simon’s shelter, hidden within the rubble of the largest chamber, were a number of well-preserved historical pieces. This newspaper might have seen better days, but it still served as a reminder of what was happening around the time Simon’s shelter was built. This milk bottle, filled to the brim with caked mud, also offered a small glimpse into the past. Had someone been drinking from it while waiting for the bombs to drop above their head? Whoever owned the house before Simon must have built the driveway right on top of the shelter. When the door’s hinges finally rusted away, the door fell into the chamber, making it only a matter of time before the concrete collapsed inwards. “It’s incredible to think it has all been made by hand,” Simon said about the shelter. “It’s part of our history so it should be kept.” Simon and Gerald hoped that it was structurally sturdy; this way, they wouldn’t have to fill in or remove the shelter.